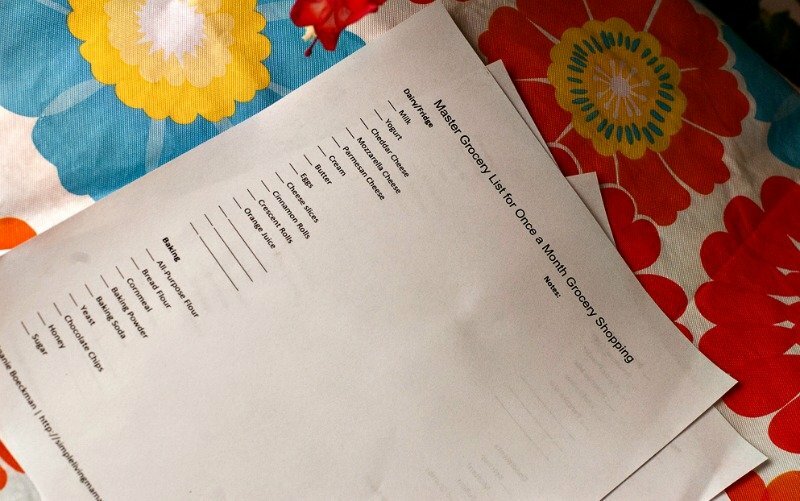 Y’all know one of my favorite topics to write about here on the blog is frugal menu planning. 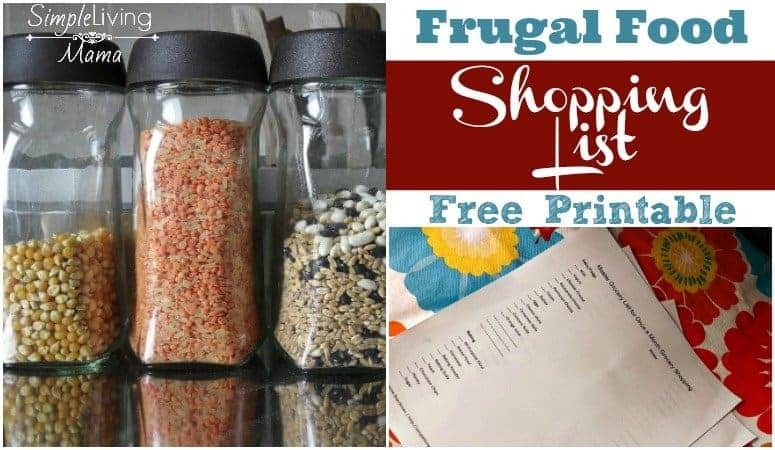 I’ve shared with you how I plan frugal meals, how I do once a month grocery shopping, and there’s several frugal family recipes in my archives for you to dig through (and I’m going to add more!). Now I’m sharing my frugal food shopping list with you! I decided I wanted to pull together a printable frugal food shopping list for you guys in case you’re stuck on what exactly you should buy. These foods are moderately healthy (there are a few processed foods on the list) and very budget friendly. They make the basis for most of our meals. This particular list is everything I keep on hand for a month. 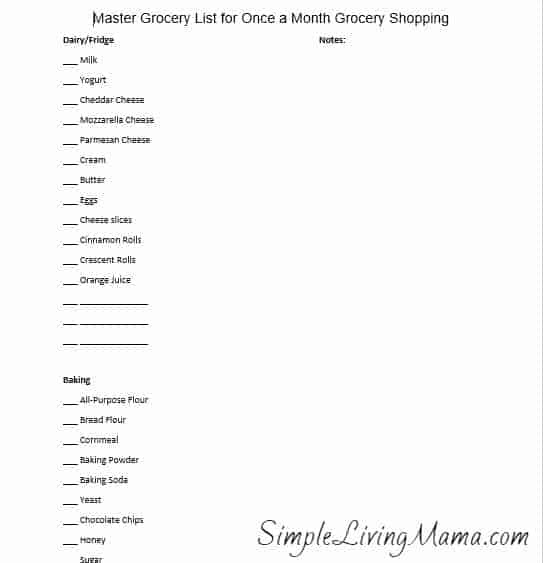 It’s the same list I use when planning my once a month grocery shopping trips. There’s room in the printable for you to add your own items, as well as a notes section if you need more room. This frugal shopping list is quite extensive. I recommend printing it and either laminating it or placing it in a sheet protector in your homemaking binder. When it’s time to shop, go through the list. Cross out what you don’t need and add what you do with a dry erase pen. You can then transfer what you need to a smaller list that will transport easily with you to the store. This list is particular to my family, so I’m sure you will need to make some adjustments. Just fill out the form below and you will be subscribed to my weekly newsletter list and you will receive your free download! Thank you!